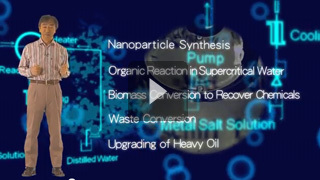 Our study aims to establish chemical processes for synthesis of hybrid nano building blocks based on supercritical fluid technology, nano-hybrid technology, and materials science & engineering. These studies include synthesis of organic-inorganic hybrid nano building blocks under supercritical conditions, and their directed assembly for medical applications, and metamaterials. We also develop novel devices with these self-assembled structures for high-performance thermo-electric devices, high-speed optical devices, nano sensors, and nanoreactors (high order structured catalysts). CopyRight © 2013– ADSCHIRI Lab,Tohoku University.All Rights Reserved.